 This examination is being given to fill two vacancies in the Therapy Services Department in San Joaquin General Hospital and to establish an eligible list to fill future vacancies. Resumes will not be accepted in lieu of an application. A completed application must be postmarked or received online by the final filing deadline. Performs the most complex physical therapy evaluations and interprets findings; plans, implements, and coordinates all types of physical therapeutic treatment programs for patients; establishes appropriate treatment goals; uses equipment properly. Assists with departmental orientation of staff; serves as a resource for other therapists; consults with supervisory staff and may provide input into employee and intern performance evaluations; may act as lead therapist and/or preceptor for physical therapists and other professional and para-professional staff. Conducts and/or attends in-service education programs for a variety of departmental and hospital personnel; conducts education programs in the community. Attends staff meetings and patient conferences. Assists to ensure quality care and staff and/or patient safety. Prepares and presents, within established guidelines, clinical projects as assigned; assists with departmental projects and program development; may coordinate research projects. May serve as Center Coordinator of Clinical Education for university physical therapy programs. Experience: Three years of progressively responsible experience as a licensed physical therapist performing diagnostic and therapeutic physical therapy techniques for a variety of disabling conditions. Special Requirement: EITHER: (1) certification in a specific treatment technique such as neurodevelopmental treatment, infant massage, Folsom Manual Therapy, or other techniques as approved by and certification acceptable to the Department of Health Care Services or San Joaquin General Hospital; OR: (2) certification as a specialist with the American Board of Physical Therapy Specialties or other recognized specialty boards. If assigned as Center Coordinator of Clinical Education, a Clinical Instructor credential is desirable. Licenses: Must possess and maintain a current license as a Physical Therapist by the Physical Therapy Board of California (PTBOC); and, if required by the nature of the assignment, must also possess and maintain a valid California driver’s license. Current physical therapy theory, principles, methods, and equipment; anatomy and physiology; principles of psychological and physiological problems of persons with disabling conditions; principles of clinical supervision; medical terminology; basic medical record keeping; basic computer operations, including pertinent software. Organize and implement physical therapy treatment programs; teach techniques of treatment in specialty areas; conduct individual and group treatment programs; interpret and adapt physician’s orders and/or written reports; gather, analyze, interpret and report statistical data; prepare complex written reports; communicate effectively, both orally and in writing; establish and maintain cooperative working relationships with patients, parents, caregivers, staff and others; teach advanced therapeutic techniques and modalities to others; direct the work of others, including physical therapy services provided by para-professional staff; interpret and implement regulatory standards; utilize computers and office automation equipment; complete accurate medical records and/or charts. Mobility - operation of a data entry device; frequent standing for long periods; occasional sitting; constant walking; occasional pushing/pulling; frequent bending/squatting; Lifting - occasional lifting of 5 to 50 pounds; restraining, lifting/turning, transferring people; Vision - frequent color perception; occasional eye/hand coordination, peripheral vision and depth perception; frequent reading; Dexterity - frequent holding and occasional repetitive motion; frequent reaching, grasping and writing; occasional manual operation of equipment and hand tools; Hearing/Talking - constant hearing normal speech, talking in person, talking on the telephone; frequent hearing on the telephone and hearing faint sounds; Special Requirements - may require occasional overtime, and weekend or evening work; Emotional/Psychological - occasional emergency situations; occasional exposure to trauma, grief and death, occasional exposure to depression and psychiatric disorders in patients; constant public contact and decision making; frequent concentration required; Environmental - occasional exposure to noise; may be exposed to varied indoor temperatures, occasional exposure to cleaning agents.